With the digital passport you can track where data comes from and where it goes. Request your data from any linked party, trace the origin of official documents, and issue data extracts suitable for 3rd party applications. Choose the data you want to share. We provide a seamless point of access to all the data that matters to you. Request your data from the parties and platforms where you are registered tocreate personalised views of that data for your service providers. Only you have access to your Digital Passport. 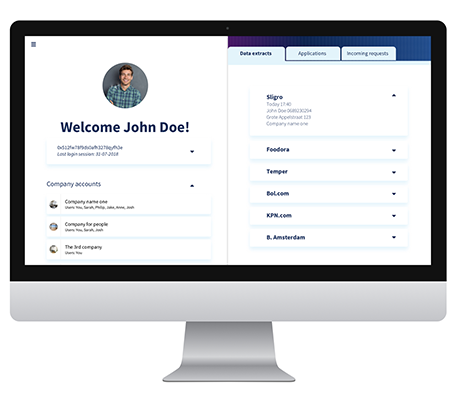 A digital passport for your business data. Request your digital business passport through our platform and share your business information like never before. You decide what data is sufficient for the nature of your commercial transactions. 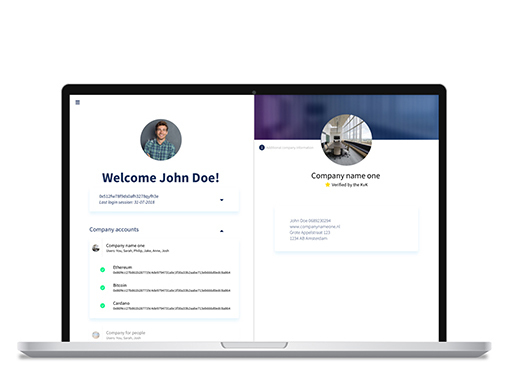 Add features to your company profile, from phone numbers or URLs to crypto wallets. 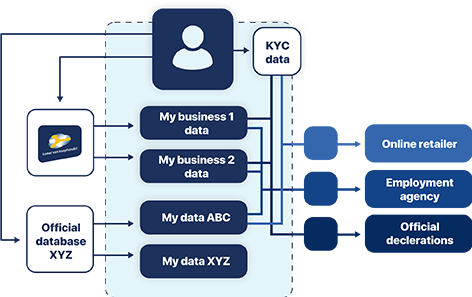 Create regular data access, update subscriptions or one time data transactions with a few clicks. Exchange your data in the same fast and easy way you make an online payment. In your user dashboard you will be able to see the extracts of the data you shared, with whom and under which conditions.